One of the people who inspire me in this world is Oprah Winfrey. I’ve heard a lot about her story – who she is, and what she does, and it gives me an idea of who and what I want to be when I’m older. She did not have the best start or beginning in life, but she did not let that stop her. She went on to follow her dreams and do what made her happy. Now that she has found success, she doesn’t just stop there and keep her happiness to herself. She is a person that people can look up to. Oprah Winfrey has on numerous occasions, given to people in need such as children in need of an education or just everyday people who need a break. She remembers where she came from and who she was before she found fame. She uses her success and happiness as a tool to give back to her community. Like Oprah, I strive to help and inspire others in all that I do on campus at Saint Rose. I remember where I come from and that this is an important part of who I am. My parents brought me and my siblings to America from Nigeria 21 years ago and they always remind us to never forget that. As Shawn Carter (Jay Z) once said, “Identity is a prison you can never escape, but the way to redeem your past is not to run from it, but to try and understand it, and use it as a foundati on to grow.” We should seek to continuously educate ourselves on key topics of social justice such as Black History. 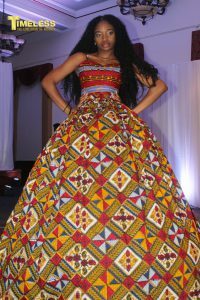 Even if you do not identify within the black community, it is important to understand the role you can play in educating others. 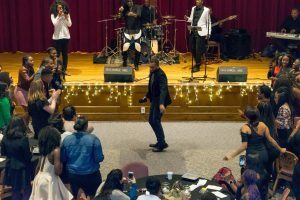 To celebrate Black History Month, many student leaders including myself played a role in educating themselves and others here at Saint Rose. 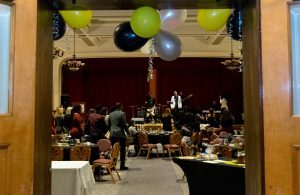 The Office of Intercultural Leadership had an MLK week of events that included community service and ended with the annual MLK Gala on January 20th. This month, Intercultural Leadership partnered up with Spectrum, the ALANA Student Union to provide a movie showing and discussion of the movie Selma. The opportunity for education through film did not stop there as Intercultural Leadership also sponsored a trip for a few students to go see the movie Hidden Figures. Another annual event that happened throughout the month was Spectrum’s annual Black Expo which included, Open Mic Night (2/3), Gospel Night (2/11), and ended finally with their fashion show (2/24). Spectrum’s annual fashion show is an event of high attendance and this year was no different. 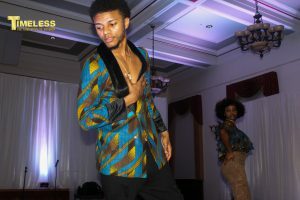 The theme this year was “Timeless” which focused on the evolution through time of Black culture and history. This post was written by Elizabeth Ajagbe, ’18. Liz is a student leader on campus, serving as Intercultural Ambassador for the Office of Intercultural Leadership, Tour Guide Lead of Social Media for Undergraduate Admissions, and a Resident Assistant for Residence Life.